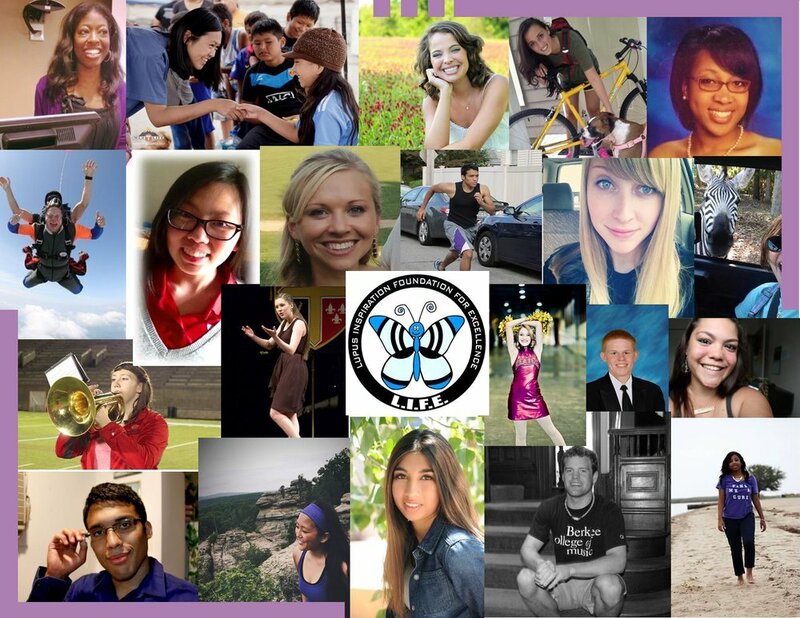 This year, L.I.F.E was able to award Scholarships through the generous donations of sponsors! Many sponsors have said the process is a positive experience—especially reading the student's application essay titled “How Has Lupus Affected Your Life?”. They are inspired by our students, feel connected to them, and most become yearly sponsors of our courageous students living with lupus. L.I.F.E. has sponsorship categories that apply to either a company, individual, In Memory Of, and other non-profits, especially lupus organizations. Additional categories can be added to fit a sponsors needs and specifications. L.I.F.E. is proud of our winners and the sponsorships they have received—the minimum value to sponsor a student is $500. L.I.F.E. has been pleasantly surprised as many sponsors exceeded the minimum amount for sponsorship—truly an act of kindness. Why is L.I.F.E.’s Sponsorship Program attractive? It allows sponsors to be matched to a student based on a number of possible similarities. For example, the sponsor may choose a student with same interests, an alumni of the student’s college, state they live in, or other similarities between the student and sponsor. After getting to know the wishes of a sponsor, L.I.F.E. recommends one or more students thought to be a good match. However, the ultimate decision is up to each sponsor. All sponsors receive recognition for their generosity from the Foundation and the student. Most importantly, the sponsor sees whose life they are touching with their contribution. The thank you letter provided by the sponsored student is personal and the sponsor sees first-hand who’s life they are changing and how. All sponsored students—regardless of the type of sponsorship—are listed on L.I.F.E.’s website along with their sponsor if they wish to be recognized. This makes for good publicity for any company or organization wanting some extra positive exposure. Contact information, logo and description will be provided with a direct link to sponsor's website. Any sponsor may also chose to remain anonymous. The support provided by a sponsor impacts the student in many ways. It makes them one step closer to their academic goals, gives them hope of a promising future with lupus, become productive members of society and pillars in their communities. Although individuals with lupus are considered disabled, L.I.F.E. believes our students are “differently abled” and great role models to anyone facing adversity. Due to the success of our current Sponsorship Program, L.I.F.E. has founded a new Degree Completion Program/Renew Your L.I.F.E. Scholarship that allows students to renew their awards every academic year while at the same time giving back to other students struggling the same "cruel mystery" of lupus. Sponsors are able to take part in this new Program as well. This is a good option for sponsors that wish to support their chosen student throughout their academic career—until graduation! In addition, a donation of any amount can be given as well to help previous winners renew their L.I.F.E. Scholarships. This is a great way for individuals to show their support without the $500 minimum for sponsorship. As a 501(c)(3) organization all contributions are 100% tax-deductible. No words can express how appreciative L.I.F.E. is to have your support. Give the gift of knowledge this Holiday season to help L.I.F.E. continue its mission to spread awareness of lupus and support future L.I.F.E. Scholarships. To learn more about the wonderful opportunity to change a life and be inspired click here. Newer PostJodi Norton featured in Tucson Lifestyle Magazine Article "Tracking a Medical Mystery"